Founding Members include naturalists from Europe and the Middle East who dreamt up the idea of this organization. Part of the privilege and pleasure of responding to the needs of local conservation issues is networking and linking of strengths among a wider group of scientists and experienced naturalists. Friends and co-workers are invited by founding members to join the group as associates. Biodiversity East is happy to assist in linking and sharing the information about associate expertise and conservation-based interests with end-users and stake-holders. May decide to promote their interests on the Biodiveristy Website or not; they have no obligation or responsibility relative to the material presented on the website or the works of other associates or the founding members. Nancy Papathanasopoulou is an environmental law and management expert (Master II Lyon University III). She has been working on sea turtle conservation and environmental research for twenty years, in several capacities (volunteer, student, lawyer, legal consultant, team member, project coordinator, project manager) and in several countries. Since 2003 she is mainly working on sea turtles, birds, their habitats and conservation needs in the Gulf Area as a project coordinator. Before that, she has worked in France and in Greece, in law offices, International organizations and the Ministry of Environment in Greece. Apart from wildlife scientific research, her work involves cooperating with local and national authorities on institutions, legislation, and management plans based on sustainable development, environmental education and environmental information centers. Through conservation projects, such as the ones carried out by TOTAL on Masirah Island, Oman and three offshore atolls in Kuwait, the authorities as well as the public are informed about the status and protection of sea turtles and their habitats at national, regional and international levels. 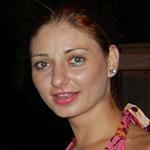 Nancy is currently based in the United Arab Emirates. Founding Member. Aris Vidalis, studied chemical engineering and theater, and today works as environmental graphic artist, nature photographer and publisher. He has been involved in habitat and species conservation campaigns in Greece for over 25 years, beginning at the first Dalmatian Pelican wardening project at Amvrakikos Greece with the Hellenic Ornithological Society. 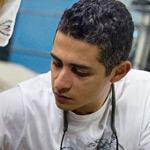 He is currently graphics design operator of the Journal Physis, of the Hellenic Society for the Protection of Nature. A major focus of his work involves environmental interpretation displays especially natural history and nature conservation promotion. He has been involved in developing numerous museum and interpretation center exhibits throughout Greece working primarily with environmental consultancy firms; but also for government agencies, greek universities and environmental NGOs. Recently he was involved in the team that created a special exhibit on Masirah Oman. Aris has been involved in the design aspects of books on nature and conservation-relevant topics in Greece, including work for academic and research institutions. One of his books and his nature photography has won awards and distinctions in Greece. Founding Member. 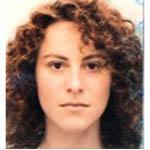 Vassiliki Vlami has a background in physical education, tourism and leisure studies (M.Ed., University of Manchester). She studied and taught ecotourism planning and eco-guiding in Canada, the UK and Greece, especially in association with protected-area conservation. 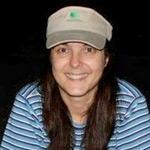 Since 1992 she has been involved in guiding natural history eco-tours in Greece and has worked with local and national NGOs, local government, and in career training organizations. She has promoted ecotourism training and specific studies in important protected areas such as the Amvrakikos Wetlands National Park, and on the islands of Euboea, Naxos, Skopelos, Kassos and Crete. She is author and co-author of four books on nature and natural places in Greece, two of which have been published in several languages. 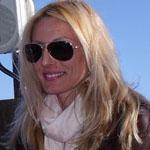 She has published widely on touring and culture in the print and electronic media as a freelance journalist. Founding Member. Stamatis Zogaris is a conservation scientist associated with the Institute of Inland Waters, Hellenic Centre for Marine Research (HCMR) in Greece. 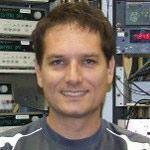 He studied at Simon Fraser University, Canada (BA Geography & Biology), the University of Wales (M.Sc. Ecology), and the University of Ioannina, Greece (Ph.D., Environmental and Natural Resources Management). 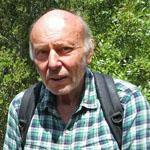 Much of his career has involved biodiversity research in Canada and several Mediterranean countries, particularly Greece and Cyprus. His areas of expertise include birds, fish, vegetation, and policy-relevant resource conservation planning. A major focus of his endeavors involves natural history education; and he has been involved in developing 11 museum and interpretation center exhibits in Greece. He teaches environmental science at College Year in Athens (CYA), is visiting lecturer at the University of Western Greece; and has supported the development of HCMR’s Education Unit. 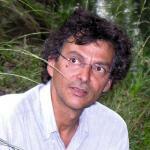 He is co-author of four books and many journal and popular articles on water resources, ecology and wildlife topics. Founding member. Ali Alhafez is Kuwaiti. He is studying Marine Biology at the University of Oxford, U.K. and is an experienced diver, underwater photographer, field worker, public relations officer and "troubleshooter". He is a member of the Kuwait Environment Research and Awareness group and an accomplished cameraman. Ali is a passionate defendant of the marine and coastal environment. He aspires to seeing endangered species fully protected in his country as well as to helping towards garbage-and pollution-free seas and beaches. He has participated at most Kuwait Turtle Conservation Project fieldwork missions (sponsored by TOTAL Foundation), has a particular interest in satellite telemetry, is an active IT expert for the project and is looking forward to more participation towards nature conservation in Kuwait or anywhere in the world. Associate. Jonathan Ali Khan is a natural history and conservation filmmaker, topside wildlife & underwater cameraman, writer, editor, producer, director and photographer with a strong passion for the natural world. With over 25 years in the Middle East, Jonathan (or JAK as he is called by friends and acquaintances) has worked on a wide range of unique and pioneering projects in this region and is recognized as an authority on environmental and conservation issues. Best known throughout the region for his diving related filming experience, his primary interest is in marine subjects that led to the creation of Ocean World Productions in 2003. With over 6000 dives throughout his long diving career, JAK has dived and explored all corners of the Arabian Seas including the Arabian Gulf, the Straits of Hormuz, Gulf of Oman, Arabian Sea, Gulf of Aden, Red Sea and Gulf of Aqaba – in addition to many Indian Ocean, Andaman Sea, Mediterranean and UK locations. By 2008, JAK decided to focus entirely on a broader range of television natural history development with a particular emphasis on Arab world content, leading to the establishment of Wild Planet Productions. His project "Arabia’s Cycle of Life" was the first comprehensive TV series on Arabia’s natural world featuring mountains, deserts and seas. The series aired regionally to over 20 million viewers on AlArabiya (MBC Group), SHOWTIME and subsequently was the first regional MENA production to have ever been picked up by Discovery for ANIMAL PLANET. A firm believer in the need to place sound scientific research at the core of well balanced content, Jonathan has led many joint filming and scientific expeditions into the field, in some cases, allowing researchers into troubled or difficult areas to access for the first time. Adding a deep concern for the state of our environment and natural world has been at the heart of Jonathan’s motivation and is at the core of many fascinating TV projects. Jonathan is currently leading a major shark awareness initiative focused on producing 4 documentaries about Arabia's shark story called "The Sharkquest Arabia Initiative". Wild Planet Productions is registered through the Ras al Khaimah Media Free Zone and is licensed as a full media production company with editing studio facilities based in Dubai. Associate. Dareen is a Kuwaiti Marine Biologist, who has recently graduated from James Cook University with a master’s degree studying the genetic structure of the Galapagos shark Carcharhinus galapagensis at the Elizabeth and Middleton Reefs Marine National Nature Reserve and the Lord Howe Island Marine Park. The main aim of the study was to assist in understanding the potential for C. galapagensis from highly protected sanctuary zone (Middleton Reef) to move into fishing areas (Elizabeth Reef and Lord Howe Island) and vice-versa, therefore identify conservation strategies that are needed to manage these important members of the marine ecosystem in a sustainable way. Currently she works as a free-lance marine biologist for the Kuwait Turtle Conservation Project, which is sponsored by TOTAL Foundation and TOTAL Kuwait. She has also set up the Kuwait Environment Reasearch and Awareness group which she is chairwoman of. Previously she worked for SAFAGE, conducting a survey study to assess the impact of the Second Gulf War on the fauna of the Kuwaiti waters. Her role there was to enumerate and identify specimens of juvenile shrimp. She has also spent 3 years volunteering for The Scientific Center of Kuwait while completing her undergraduate degree from Kuwait University, majoring in Zoology and minoring in Marine Biology. Her main research interest is broadly in any topic that addresses questions related to marine conservation, such as population viability, marine reserves and conservation genetics, which are crucial to formulate conservation plans and strategies for effective implementation of fisheries regulations and law enforcement. She is potentially interested in the conservation and genetic evolution of the K selected marine species, particularly Elasmobranch species. Associate. Jenan Bahzad is a Kuwaiti geologist, photographer, and a teaching assistant at the Public Authority for Applied Education and Training (PAAET). In PAAET, she teaches economic and environmental geology. As a freelance journalist, her publications on the environment have appeared both in print and electronic media. 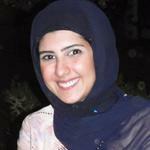 Jenan has a joint Master’s degree in environmental science, engineering, and law from Kuwait University. Currently, she is a member of Kuwait Environment Protection Society, working as a manager of activities and programs. Her research interests reflect her passionate care for the environment. To keep the marine environment healthy, she is interested in coastal zone management, planning marine conservation measures, and providing sustainable use of marine resources. She is passionate about taking part in nature conservation activities in Kuwait or anywhere else in the world. Associate. Felix Baier has been deeply fascinated by living things since his early childhood. 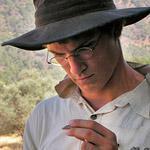 Numerous travels to Cyprus allowed him to execute wide-ranging herpetofaunal fieldwork, including studies on the endemic Cyprus Grass Snake. He conducted Civil Service at the Research Institute Senckenberg, Department of Terrestrial Zoology, in Frankfurt Germany. During 2008-2011 he studied Biology and Philosophy at the University of Munich. Currently he is a Fulbright Fellow at Columbia University (2011/2012). He is a member of WWF and the Nature Conservancy Agency of Germany. His work on reptiles and amphibians culminated with the publication of the book "The Amphibians and Reptiles of Cyprus" with D. Sparrow and H.-J. Wiedl, in 2009. Associate. Paschalis Dougalis is a renowned Greek wildlife artist and illustrator living in Munich, Germany. He started sketching and painting animals from the age of four at his home town in Kozani, Greece. In the countryside, where he grew up, he had many opportunities to observe and study nature at close quarters. During his studies in theology at the University of Thessaloniki, Paschalis began to study and work as an icon painter. Since 1995 he has been working as a professional wildlife artist and participating in various conservation projects with prominent NGOs in Greece. He has illustrated many books in Greece and in Germany where he resides since 1997. Paschalis’ passion for birds led him to become co-creator of a best-selling field guide to European birds with Peter H Barthel; this book features more than 500 bird species and is now published in German, Spanish and English. Paschalis’ paintings have been show-cased in well-known magazines, he has participated in several nature art workshops and exhibitions and has won prestigious awards. He has also painted sea-turtle illustrations for the Masirah Environmental Information Centre in Oman in 2007. In his work he aims not just to portray an average sample of a species, but the individual character of the bird or or other animal. Associate. Martin Gaethlich is a biologist, specialised in environmental management and has been involved in numerous nature studies and conservation projects in Greece and internationally. He has served as a personal advisor to two successive Deputy Ministers for the Environment in the Greek government on matters relating to biodiversity, biotechnology, environmental protection and international legislation concerning the conservation of endangered species of fauna and flora. Martin Gaethlich has worked as a researcher on projects on biodiversity and the management of natural areas in Greece, covering the Loggerhead Sea Turtle and the Mediterranean Monk Seal. He has carried out Environmental Impact Assessments on bat populations for the installation of lighting on heritage sites as well as relating to the construction of a gas pipeline in the Athens area. He was part of a team responsible for carrying out management plans for wetland areas in western and northern Greece. He was a member of the Masirah Sea Turtle Conservation Programme study team and was mainly involved in the bird census and the creation of the visitor centre. Sassa Georgopoulou is Greek. She has studied French Literature at the University of Athens and has a Master's in Didactology of Languages and Cultures from Paris La Sorbonne. After a long time of studying languages, music and philosophy, she became involved in volunteering for marine life conservation projects and with environmental education at the high school where she teaches French. Her experience of sea turtle encounters in her native land, Greece, as well as in Oman and Kuwait has produced several educational packages for school children of all ages as well as adults and the general public. Sassa is currently the environmental education expert for the Kuwait Turtle Conservation Project and enjoys working on the field with turtles very much. Associate. 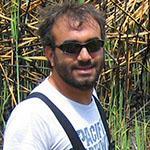 Epaminondas Giannouris is a Cypriot Biologist who holds a B.Sc. from Patras University, Greece, and an MBA from the University of Nicosia, Cyprus. His major scientific interests involve biodiversity and wildlife management, bird ecology, water quality and conservation. Specifically, he has been placed as the first Wildlife Manager at Larnaca International Airport, Cyprus, since 2009. Since this Airport is situated in one of the most bird-rich wetlands on the island he is applying a model of recording and predicting potentially hazardous avifaunal movements that could affect the airport’s Flight Schedule and avoid bird strikes. He is also a co-founder of NOVESTI Enterprises Ltd, which provides consultancy and research services to the private and governmental sectors across the island of Cyprus. Moreover he has been involved in several environmental research projects on Cyprus, including: "Evaluation of the Ecological Quality of Cyprus Rivers using Macrophytes as Biological Quality Elements" as well as in the implementation of "Strengthening the scientific foundation of water quality programs: River basin functions and values analysis and water quality criteria determination". Associate. 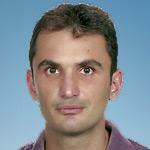 Salih Gucel is a Turkish-Cypriot biologist, currently Associate Professor at the Near East University, Nicosia. He holds a BSc and PhD (Biology) from the University of Ege, Turkey, and a MSc (Botany) from Celal Bayar University, Turkey. He has worked on many aspects of conservation-relevant botanical and wildlife habitat research in Cyprus and Turkey, including important plant areas inventory (IPAs), palinology and cytotaxonomy of endemic plants, habitat-type delineation, wetland evaluation and waterbird surveying. He has extensive experience in strategic planning, environmental policy and management of biodiversity projects in Cyprus as biodiversity expert at the Cyprus Environmental Stakeholder Forum (CESF) supported by UNDP-ACT. He is author and co-author of five books on the Cypriot biodiversity and has published extensively in both scientific and popular literature. Associate. 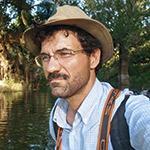 Vassilis Hatzirvassanis is a forester and has worked on nature conservation projects throughout Greece, as well as on many research projects on large mammals and birds. He is most interested in environmental interpretation, and has participated in the making of 20 information centres, dozens of interpretation trails, and 12 educational packages, concerning wetland – mountain – marine ecosystems, Brown Bear, Eleonora’s Falcon, Audouin’s Gull and Mediterranean Monk Seal. He is author or co-author of numerous specialist magazine articles, and nine published books, ranging from mountaineering guidebooks to books interpreting Mediterranean wildlife and riparian zones. He is one of Greece’s most widely published nature artists and draws and paints wildlife (and people!) from life. His artwork has been recognized internationally, and he has participated in an international meeting of wildlife artists organized by “Artists for Nature Foundation” in Extremadura, Spain. A sideline ondrawing animals from life is his ability to devise cartoon characters based on selected animal species, in order to enhance environmental interpretation projects. Associate. Evagoras Isaias was born and grew up in Paphos, Cyprus. He studied Biology and Oceanography in Greece and the United Kingdom. 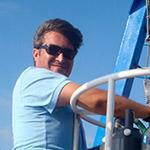 He is currently associated as a research scientist with the Oceanography Centre, University of Cyprus. His activities include physical and biological oceanography with emphasis on zooplankton ecology and dynamics, marine biology and ecology (including studies of lessepsian migration), as well as ecosystem research and the application of the ecosystem approach to fisheries management. 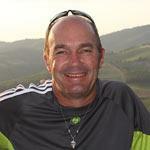 He has previously worked in an environmental education centre and a specialized marine consultancy company. He is also the Director and co-founder of NOVESTI Enterprises Ltd, which provides consultancy and research services to the private and governmental sectors across the island of Cyprus. Through wide-ranging studies and professional development, he has developed a broad range of aquatic research interests. These include fish biology, ecology and life history; fisheries and fisheries management; ecology of fish invasions in the Mediterranean especially in relation with fisheries interactions on ecological as well as socio-economic dimensions; marine and coastal ecosystem management; aquaculture effects on ecosystems; artificial reefs; aquatic and wetland biodiversity research; and environmental policy-making. Evagoras has been extensively active in civil society. He has volunteered at several conservation NGO’s in Greece and Cyprus as well as the UNESCO Chair for Human Rights and Democratization of Aristotle University of Thessaloniki (AUTh) for four years. He is active in politics and environmental awareness and supports bi-communal initiatives that promote peace in Cyprus through environmental research and cooperation. Associate. 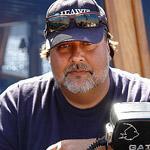 Marine ecologist and acclaimed underwater photographer and videographer. He studied Marine Sciences at the University of the Aegean and is a PhD candidate of Marine Ecology at the University of Athens (Greece) with a research scholarship from the Hellenic Centre for Marine Research (HCMR). He specializes in benthic ecology, in underwater biological mapping and in visual survey methods for the assessment of range and abundance of marine organisms. 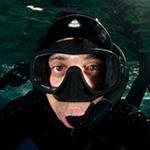 He is an expert technical and scientific diver with mixed gas qualifications for deep water diving. His photos have been published in newspapers, magazines and books and have been used as a base for the production of both anniversary and common set of stamps by the Hellenic Post (2008 -Year of the Planet Earth, 2012- Riches of the Greek Seas). He holds awards by some of the most highly prestigious photo competitions in the world, namely the European Wildlife Photographer of the Year (2009, 2011, 2012) and the International Photography Awards (2012). Moreover, he has taken part in numerous wildlife photography group exhibitions in Greece, Germany, France and Spain. As an underwater videographer, he has also been involved in the production of various TV documentaries and shows featuring underwater life and the marine environment. His first bi-lingual coffee-table large format book "Benthos and Pelagos - Life in the Greek Seas" based on his photography and design was recently published (late 2012). Associate. A freshwater biologist associated with the Institute of Marine Biological Resources and Inland Waters of the Hellenic Centre for Marine Research (HCMR, Greece). He completed his research doctorate in Ecotoxicology and Freshwater Pollution at the University of Ioannina (Greece) where he studied the impacts of agro-industrial wastewaters on stream ecosystems at different levels of biological organization. He graduated from the University of Brighton (UK), where he studied Biology and received his Master’s degree in Environmental Pollution Sciences from Brunel University (UK). His area of expertise lies in Freshwater Ecology and Pollution, Ecology and Taxonomy of Aquatic Invertebrates as well as in the Conservation and Protection of Freshwater Ecosystems including rivers, lakes, ponds and wetlands. He has published many scientific papers on the field of freshwater pollution, conservation and management, chemical pollutants, ecotoxicology, zoology and animal taxonomy. He is currently a co-editor of a book on Greek Rivers and has participated in numerous national and European research projects in Greece, Cyprus and Albania. Associate. Paraskevi Manolaki is an Environmental Biologist who lives on Cyprus and is currently completing her PhD at Patras University, Greece. Her areas of expertise include Aquatic Ecology, Biodiversity Conservation, Water Quality issues, and Riparian Dynamics. She is working as a member of the scientific team of Plant Ecology at the Biology Department of Patras University since 2005. She is one of the few researchers using the flora to study ecological quality of freshwater ecosystems on Cyprus as demanded by the EU Water Framework Directive. Specifically her research field during the last five years has focused on the development of an evaluation system for the ecological quality of rivers in Mediterranean countries and especially Greece and Cyprus, using aquatic macrophytes as Biological Quality Elements. She has been involved in many field excursions during international meetings and field/laboratory training courses, having gained valuable experience working in different riparian ecosystems from semi-arid streams on Cyprus to typical Mediterranean rivers in Greece and Portugal; as well as Alpine river types in Northern Italy (Ivrea). Moreover she is a co-author of journal articles on freshwater resources and she has participated in relevant scientific projects such as: "Evaluation of the Ecological Quality of Cyprus Rivers using Macrophytes as Biological Quality Elements" and "Strengthening the scientific foundation of water quality programs: River basin functions and values analysis and water quality criteria determination." Associate. 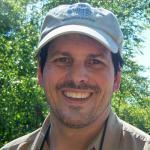 Jim Manolis is a conservation biologist and science advisor at the Minnesota Department of Natural Resources in Minnesota, USA, where he has worked for the past 16 years. Broadly, his work aims to better integrate conservation science with natural resource policy and management. His current projects focus on 1) developing guidance for climate change adaptation and mitigation, and 2) integrating biodiversity and forest management. Jim was a postdoctoral fellow with the David H. Smith Conservation Fellowship program from 2003-2005, where he focused on landscape modeling in a priority conservation landscape in Minnesota. His research assisted an ongoing partnership of major landowners working to integrate biodiversity and forest management in the landscape, and he continues to participate in this work as co-chair of the collaborative. Previous positions involved implementing an old-growth forest policy, managing a multi-stakeholder assessment of forest spatial patterns, and strategic natural resource planning. While much of Jim’s current work involves policy and management, he began his career as a field naturalist and environmental educator. 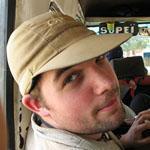 His graduate work focused on forest birds, and he maintains a strong interest in ornithology and field natural history. Jim has Ph.D. and M.S. degrees in Conservation Biology from the University of Minnesota (1999, 1996). He has published on diverse topics including avian biology, forest modeling, and conservation leadership. He looks forward to building more global partnerships, particularly as an associate in Biodiversity East. 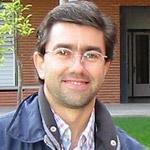 Francisco (Paco) Martinez Capel is a forestry engineer and Associate Professor at the Universidad Politécnica de Valencia, Spain. He has studied river ecology and freshwater fishes extensively, and received his PhD at the Universidad Politécnica de Madrid. He is particularly interested in studying fish, invertebrates and riparian vegetation in environmental flow studies and water management, for the restoration of freshwater ecosystems, especially in Mediterranean rivers, in seasonally semi-arid environments. He has also explored the impact of dams on endangered species in rivers. Currently, his main lines of research include: a) Response curves for fish and aquatic invertebrates exploring the habitat-biota relationships at microhabitat, mesohabitat and regional scales; b) Modelling relations between stream flow regime and riparian vegetation; and, c) Application of habitat modelling in environmental flow studies at the segment scale and also methods for regional-scale assessments. One of his recent projects (until 2015) is dedicated to assessing and predicting effects of water scarcity on water quantity and quality in Iberian rivers, caused by global change. Paco lectures at the School of Civil Engineers, School of Agronomical and Forest Sciences (Valencia) and the Polytechnic School of Gandia, Spain. His principle teaching aspects include river restoration and rehabilitation, and also forest hydrology and watershed restoration. Associate. 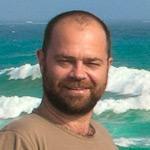 John McEvoy is an ecologist from Ireland with a passion for conservation and applied ecology. He holds a BSc (hons) in Environmental Science and Technology from I.T. Sligo (Ireland) and a MSc in Ecology from University of Wales (U.K.) . 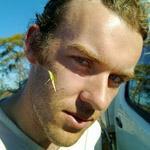 He is currently undertaking research for his PhD at The Centre for Integrative Ecology, Deakin University, Australia. John conducted his MSc thesis field work on Mt. Ochi on the island of Euboea, Greece looking at habitat use of large raptors such as Bonelli's Eagle. He has worked as a research collaborator at Bristol University on the long running urban fox project. John has volunteered as a field assistant to many other projects including the Hen Harrier research project run by the Irish National Parks and Wildlife Service and SCAN bird ringing project in Wales.He is currently based in Australia where he has worked on projects including eagle nest monitoring, small mammal trapping, radio-tracking of the Australian Raven, and is currently using GPS tracking to study the movements of nomadic desert birds in relation to their constantly changing environment. Associate. Athina Papatheodoulou is researcher and applied ecology instructor at the Cyprus Environmental Studies Centre, a daughter organization of The Cyprus Conservation Foundation- Terra Cypria. She holds a degree in Biology and a postgraduate degree in Water and Environmental Management from the University of Brighton. Her main areas of interest lie in aquatic ecology and microbiology, biodiversity conservation and environmental education. Other areas of her work involve habitat and pollution mapping as well as hydrological modeling. She has participated in the development and implementation of various environmental monitoring and conservation projects. Panagiotis Papoulias is a Ph.D. in theoretical and computational physics. He is the founder of “Science Seals LLC”, a company formed around his personal areas of interests and expertise. A major area of interest is applying post-personal-computer information technologies to the areas of biodiversity and environmental education; porting over existing biodiversity and natural photography databases to mobile devices such as the iPhone and Android; working with scientists, environmentalists, and conservationists in the development of educational apps. Other areas of work involve the development of advanced technologies using positrons for applications in mass spectrometry, medicine, biological research, as well as very powerful gamma-ray lasers. Associate. 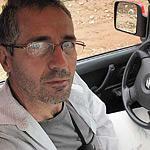 Vladimir Pešić is Professor at the Biology Department of the University of Montenegro; he holds a MSc and Phd (Univeristy of Belgrade) with specialization in invertebrate taxonomy. His research interests include the biodiversity, ecology, taxonomy and zoogeography of aquatic invertebrates (with special regard to water mites, water snails, water beetles, leeches, nematomorphs, suctorian ciliates and terrestrial mites). He has especially studied the ecology of springs and interstitial waters and the impact of climate changes on freshwater biodiversity. He works with many researchers in many countries, and he has explored many little-known inland waters all over the world. So far he has discovered and published about 190 species new for science from various parts of the world. Regions of special interest of his are the Balkans and Western Asia. Associate Member. Associate. Mike Pope is a South African Mechanical Engineer, but resident in Kuwait since October 2006 and now working in Oil and Gas as a PM implementing Advanced Process Control solutions across the GCC. He has had an interest in wildlife and conservation that started early in his schooling when he was selected to spend a week in Londolozi Game Reserve that was in the process of being established. During this week he was exposed to Conservation and Game Ranger principals. Londolozi is now the flagship reserve of the internationally renowned Conservation Corporation and he never did make the jump to becoming a game ranger, but the seed was sown and a passion for birds, wildlife, photography and conservation was instilled ever since that memorable week. He has served as Committee Member of 1800 member Witwatersrand Bird Club and was responsible for bird ID training courses and specialist tours for small groups. He has travelled and explored the length and breadth of South and Southern Africa in search of birds, as well as other countries, since arriving in Kuwait expanding his list and knowledge. In Kuwait his passion for birding, photography and highlighting the need for conservation and protection of migratory birds has continued and this is showcased on his Kuwait Birding Blog . 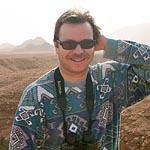 In early 2008 he was proposed as and still is Chairman of Kuwait Ornithological Records Committee. However, the crowning achievement of his birding tenure in Kuwait is Co-editor for the milestone publication of “Birds of Kuwait – A Comprehensive Visual Guide” in collaboration with BioDiversity East and KUFPEC, the sponsor. Associate. ALan is British and graduated from the University of London with a Zoology degree and a few years later started working with sea turtles as a volunteer for ARCHELON in Greece (www.archelon.gr). After an initial period as a volunteer he became a field leader and then Scientific Officer for the group. During his time as Scientific Officer ALan developed ARCHELON scope of activities. He started several new projects and investigations, such as carrying out the first telemetry work undertaken by the society and initiating an in-water study of an important population of loggerheads living in a large enclosed bay. Most significantly, he undertook pioneering studies in Syria which documented for the first time a regionally important green turtle population (www.seaturtlesinsyria.org). 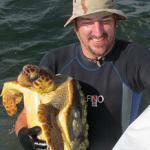 Since 2006, ALan has worked as a free-lance sea turtles biologist, Mainly for TOTAL in Oman, which has involved nesting beach surveys and telemetry projects on three separate species of sea turtle nesting on Masirah Island. He is a member of the IUCN Marine Turtle Specialist Group - Mediterranean region and in the Editorial Board of the Marine Turtle Newsletter. ALan’s current focus is on analysing and writing up the valuable data he has accrued, within the context of completing a Doctorate under the supervision of Dr BJ Godley at the University of Exeter. Assoiciate. 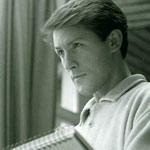 Thomas Schultze-Westrum is a conservationist, scientist and film-maker. He is a graduate of Munich University, with degrees in Zoology, Geology and Cultural Anthropology while most of his field work have continuously focussed on Greece and New Guinea, since 1957 and 1959, respectively. He is author of the books “New Guinea”, Berne 1972 and “Biologie des Friedens” (Biology of Peace), Munich 1974. As a conservation consultant he has worked for the EU, IUCN, OECD and WWF. He is the founder of the working group “Conservation and Traditional Life Styles” (IUCN Commission on Ecology, 1979) and of several other initiatives and NGOs. As a film maker he has filmed, produced and directed 75 documentaries for German television and international TV networks, mainly ecological portraits with emphasis upon the integration of local and traditionally living people into conservation projects. He has chosen not to enter his films in competitions, but they have deeply touched conservation issues and affected them in many parts of the Mediterranean and Southern Asia. One of these real awards was his timely contribution to the creation of the Marine National Park of Alonnisos and the Northern Sporades in Greece as a result of his film “The Coast of the Monk Seals” in 1976/77 for ZDF (ratings 36 % - shown in 11 countries). His series of films on Greek wildlife in the late ‘70s were the first in-depth documentaries to be widely shown on Greek television for over two decades. Dr. Schultze-Westrum has also pioneered several documentaries in the Sultanate of Oman. His programme “Green Desert”, about traditional water management in Oman was distributed by the Television Trust for the Environment TVE to 44 countries. After retiring from TV film production at the end of 2002 he is returning to his earlier scientific work (abandoned in the early 70’s) about the social and population physiology of marsupials (Petaurus breviceps papuanus and closely related species); village based conservation; the evolution of human communal behaviour and cultural diversity; and the evolution of art styles in the Papuan Gulf province of New Guinea. Dr. Schultze-Westrum lives in the mountain village of Kazaviti on the island of Thassos in the northern Aegean Sea. He is now writing up his experiences of many years field work and he is keeping communications alive through his homepage (www.eco-communications.net). Here he also participates in the agro-tourism and ecotourism development of the village (www.kazaviti-thassos.net). Associate. Nikos Skoulikidis is senior researcher at the Institute of Inland Waters, Hellenic Centre for Marine Research (HCMR, Greece) where he has worked for the past 15 years. 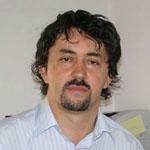 He is currently research director and head of the Institute’s “Integrated River Basin Management” research activity. He studied geology at the University of Athens and carried out his PhD (“Biogeochemistry of Major Greek Rivers”) at the University of Hamburg (Geological & Palaeontological Inst., Dept. of Biogeochemistry), where he worked for five years in several research projects. Returning to Greece, he first worked for another five years on environmental studies and surveys at the technology transfer company Intratech Ltd. (co-founder). At HCMR he established new research fields, including hydrogeochemical and biogeochemical research on perennial and intermittent freshwater systems; he introduced innovative environmental monitoring technologies, and is strongly involved in applied research regarding the implementation of the EU Water Framework Directive. He is author of 5 book chapters and 35 peer-reviewed articles on hydro-geochemistry, biogeochemistry, ecology and water resources management. Associate. Maarten P.M. Vanhove graduated in Biology and in Social and Cultural Anthropology at the K.U.Leuven (Belgium). He’s a PhD fellow of the Research Foundation – Flanders at the same university, in association with the Royal Museum for Central Africa. Current research focuses on diversity and evolution of fishes and their parasites and combines both genetic and morphological approaches. Previous work includes rest pool ecology and macroinvertebrate communities, and morphology and hatching of cladoceran resting eggs. He is a teaching assistant at university courses of Genetics and of Animal Diversity. He has carried out fieldwork in the U.K., Greece, Zimbabwe, Zambia, Tanzania, the D.R. Congo and Burundi. Relevant hobbies are nature education, Kiswahili, Arabic, and co-organizing scientific-cultural initiation trips for students to Africa. Associate. 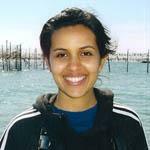 Amani is a Kuwaiti Marine Biologist working at Kuwait Institute for Scientific Research (KISR). Her range of technical activities cover research areas such in Oceanography, Fish and Shrimp Culture, Fish Nutrition, Pathology, Histology, and Physiology. In her work in aquaculture research, she has developed a patent on a discovery of new eco-friendly antipathogen agent and a new anesthetic of plant origin. 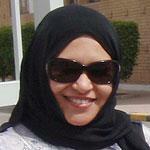 She is the senior author for an Arabic book on the principles and applications of the aquaculture in the world. Her passion is to conserve and rehabilitate the fatigued marine environment. She is trying to protect marine biodiversity and endangered species through developing several projects for this aspect. She treasures environmental public awareness and participates in that through providing environmental educational lectures for students. She is an author or co-author of many journal and popular articles. Currently, her main interest is marine turtles and she is developing a long-term project for their conservation. Associate.